Here is the render again But added another posed Sub Dragon to the picture. O.O That' the most awesome thing I've seen on a dragon. Fantastic work on that dragon Steve! That looks amazing! Great work! I am soooooo dieing to get my hands on this plugin! Maybe LAMH is being packaged as well speak...I hope I hope I hope. Alessandro left a message to beta testers that he's going to be absent for a while, due to demands of RL. He will prolly explain later, if he feels a need for more details. Has anybody done any renders with Reality yet? Hi folks, sorry for the luck of updates. For about a week I was feeling a bit sick, and last friday I decided to go to first aid for a full test of exams. Luckily there is nothing wrong (I just had a mild breakdown due to stress and extra work) an and I can resume Look at my Hair programming and other projects I've been carrying on. Glad to hear from ya, be sure to get your sleep. Take care of your health first. Everything else will fall into place. Take care of your health!!!!! It sounds like you have a work ethic similar to mine. It will catch up to you, Be careful and take care of yourself. 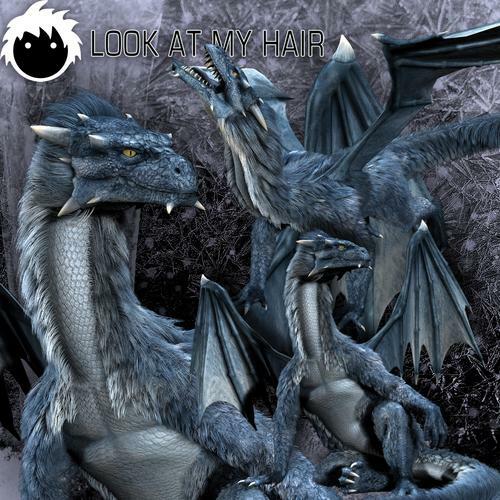 I really love that Blue Dragon fur..... awesome render! Looking forward to LAMH, Allesandro. I hope you are resting well and recover soon. Hi, and thanks for the kind words. I wanted to assure everybody that I've resumed working on LAMH already since a week, and things are looking good. I'm not going to disclose any information right now, but there will be important (and positive) news soon. Great to know, that you feel better. Your health should always come first, before anything else. I wanted to assure everybody that I've resumed working on LAMH already since a week, and things are looking good. I'm not going to disclose any information right now, but there will be important (and positive) news soon. Great to hear from you Alessandro_AM, Take care and be well. I'm still sitting on pins and needles but the wait will be very worth it. but the wait will be very worth it. Of all the plug-ins and products I see on a daily basis this one has me excited the most I have been in a long time. Oh the possibilities.